(NationalSecurity.news) Lebanon-based group Hezbollah has long been designated a terrorist organization by the United States, but these days its fighters are being armed by Russia, and with heavy weapons, as part of a new alliance Moscow has formed with Iran and Syrian President Bashar al-Assad. As reported by The Daily Beast, Lebanese field commanders whose troops are fighting in Syria say the weapons are arriving from Moscow with no strings attached, and that there now exists “a relationship of complete coordination” between Damascus, Tehran, Moscow and Hezbollah leaders. In addition, these commanders said that direct cooperation between the “Party of God” and Russia is increasing. The U.S. and European Union both consider Hezbollah, which has clashed often with Israel, as a terrorist group with long ties to Iran. However, as The Daily Beast further reports, there is more here than meets the eye. 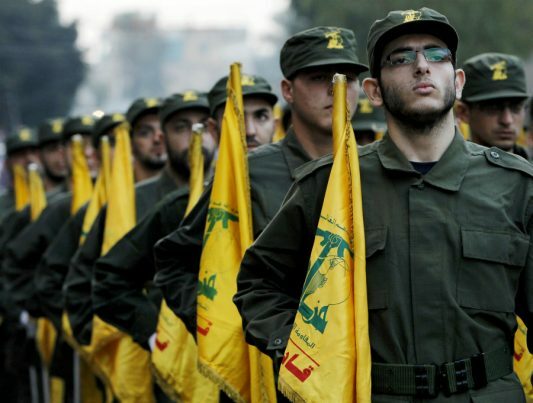 Hezbollah was formed, then trained and funded by Iran, mostly, with Syrian assistance, following Israel’s invasion of neighboring Lebanon in 1982. Initially the organization became notable for suicide bombings that struck Israeli, French and American targets in Lebanon, to include an attack against a U.S. Marine barracks in Beirut, where 241 U.S. military personnel were killed in 1983. Over time Hezbollah grew to be a proxy army in Lebanon and became stronger than the Lebanese army. For years, it was considered throughout the Arab world to be the preeminent force battling Israeli occupation of Lebanese territory. At the same time, Hezbollah grew to be the most potent political force in Lebanon. However, it’s reputation as a nationalist force has been dimmed somewhat by its involvement in the Syrian civil war, in defense of the Assad regime. The Daily Beast reported in December that some of its troops have grown weary of the unending conflict in Syria and, after multiple deployments, have opted not to return. Hezbollah commanders who spoke to The DB said that the organization now gets long-range tactical missiles, anti-tank weapons and laser-guided rockets from Russia. “We are strategic allies in the Middle East right now—the Russians are our allies and give us weapons,” said one of the Hezbollah officers who chose to call himself Commander Bakr. He went on to note that Russian airstrikes against both ISIS and anti-Assad rebels have changed the dynamic of the ground war, giving Hezbollah – supported also by Iran – the advantage. He also said Russia was relying on Hezbollah to provide intelligence so that targets can be selected for maximum effect. “Without their air force we can’t advance and they couldn’t give us air support without our information from the ground,” he said, noting that Moscow’s involvement includes Russian special forces on the ground in the Latakia region, especially near the airport used by Russian warplanes. Others who spoke with The DB said Hezbollah fighters were training Syrian troops on the use of the Russia-supplied weaponry.